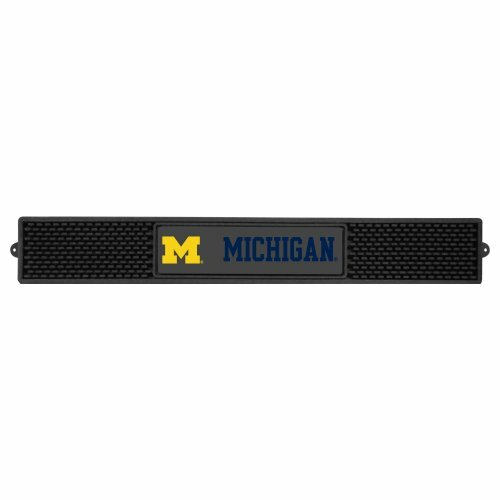 FANMATS University of Michigan Drink Mat keeps your freshly crafted drinks safe with the new officially licensed Drink Mats. Each mat features your favorite team's logo. With a sleek design, the rubber Drink Mat offers an affordable, practical and high quality solution to protecting your bar top surfaces. Easy to clean, a rubber Drink Mat will collect spilt liquid and condensation, ideal when serving pints and cocktails. View More In Floor Mats. WinCraft NCAA 2570312 Southern Methodist University Mat, Small/20" X 30"